Enter the Little Miss Coppertone Contest to Win a Dream Family Vacation + Print Ad Feature! 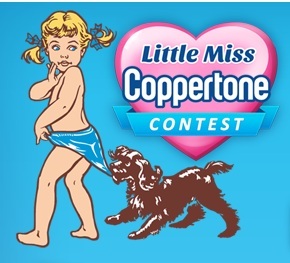 Could your little girl be the next Little Miss Coppertone?! She could be if you enter their contest! All you have to do is submit a photo of your little girl, ages 2-8, by June 22nd to enter. Special guest judge Alison Sweeney will lead the judging team in selecting finalists and starting on July 13th, America will vote to choose the next Little Miss Coppertone! The winner gets a dream family vacation and will be featured in a Coppertone print ad! To enter the contest and read the official rules, visit the Coppertone Facebook page here!